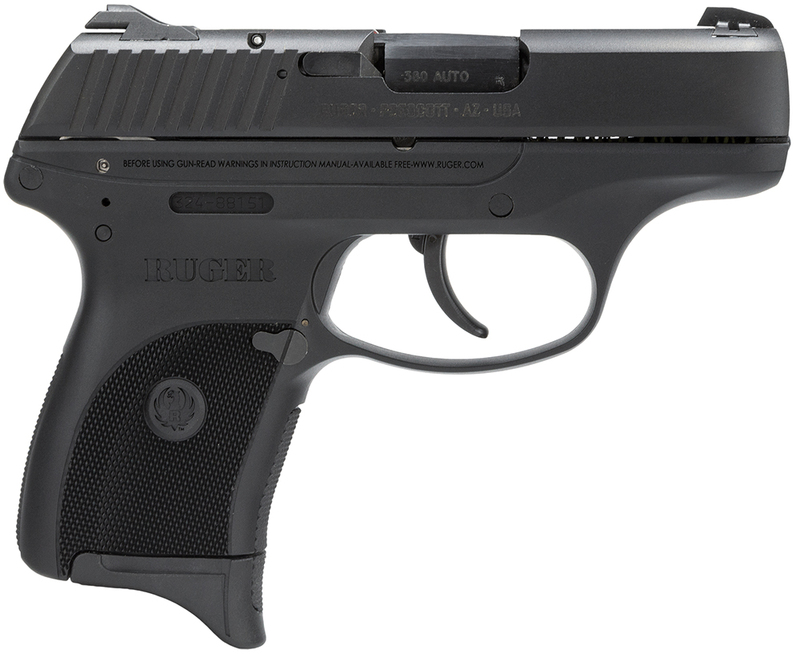 Same size as the popular LC9 but with the reduced recoil of the .380 Auto cartridge, for a softer-shooting conceal carry pistol. Rugged construction with blued, through-hardened alloy steel slide and black, one-piece high-performance, glass-filled nylon grip frame. Dovetailed, high visibilty 3-dot sight system with windage-adjustable rear sight and fixed front sight. Checkered grip frame provides a secure and comfortable grip. Safety features include internal lock, manual safety, magazine safety and loaded chamber indicator which provides visual and tactile indication that chamber is loaded. Also includes one 7-round magazine and soft case.